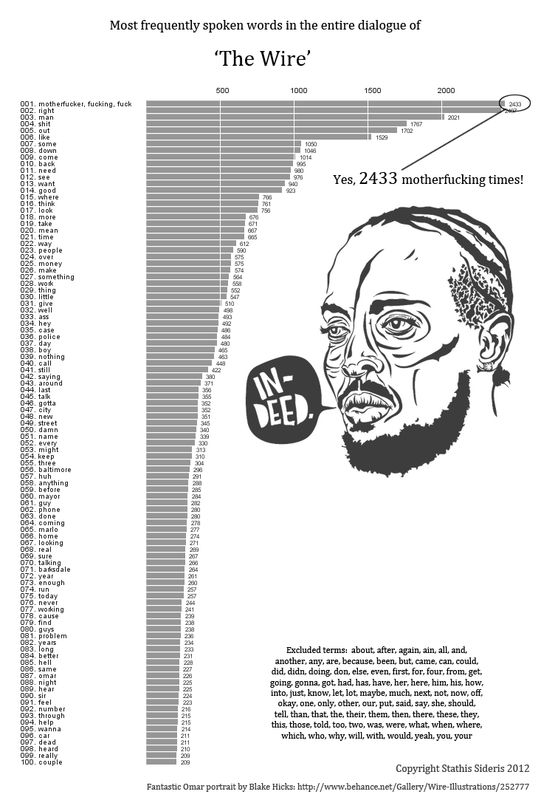 We just stumbled on this chart of the most-used words on beloved Baltimore-based HBO drama The Wire, made by a Reddit user/data wizard/extreme fan of the show. The biggest surprise is… no surprises. The most popular word does indeed have four letters and — well, you can figure out the rest. Although plenty of shows have huge fan bases, there’s something about the Wire that seems to spur fans to parse and re-parse and re-re-parse it. We say it’s a tribute to the show’s lasting power; we just hope David Simon sees it that way, too.